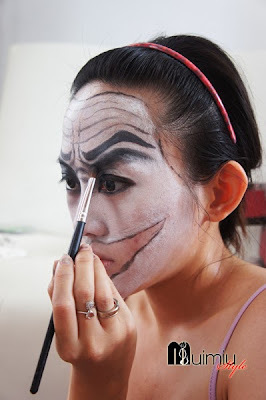 I'm back again with the challenge from Indonesia Beauty Blogger for November 2013. 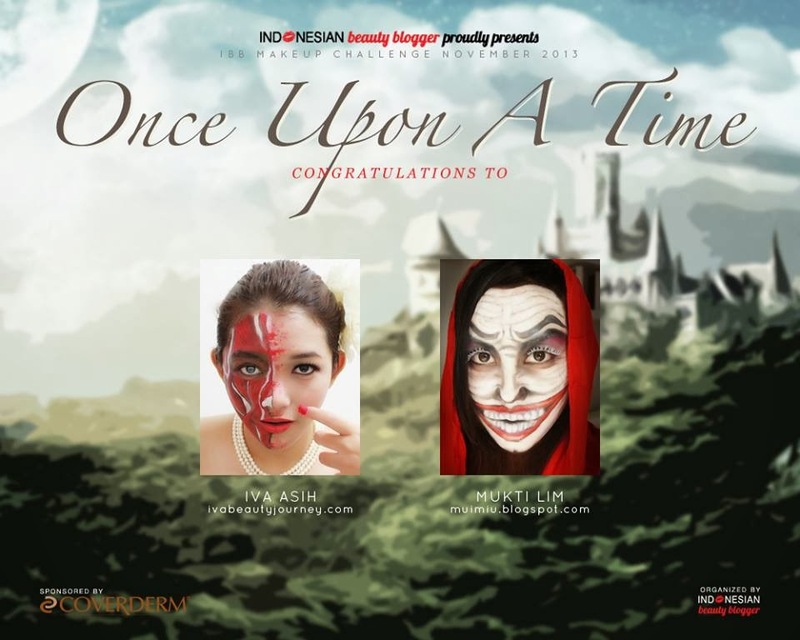 The theme is fantasy make up "Once Upon a Time...". 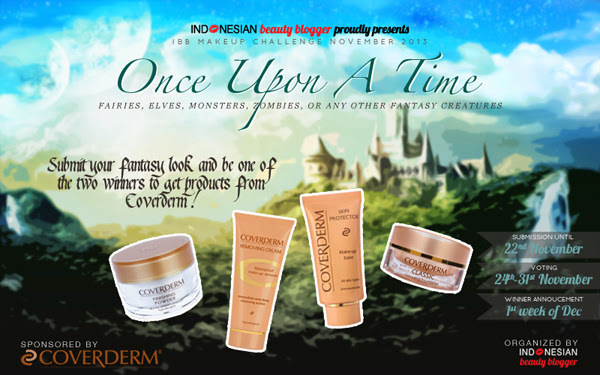 But we can create any fantasy make up, not only about fairies, princess, elf, etc. but we can also try to create zombie or monster make up , etc. After my fantasy makeup before with BARONG inspired here, I think that doing this kind of make up sometimes is really fun! 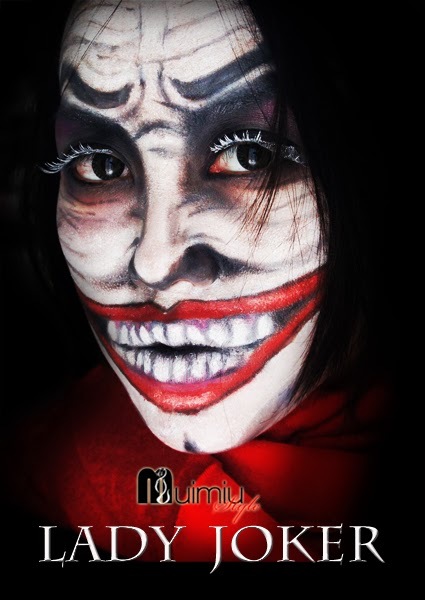 The theme is really match with my latest make up project, so I thought why don't try to join. You might already know with Batman, no,I did not create Batman's look. And I bet you also know Batman's greatest enemy, the criminal master. Can you guess? 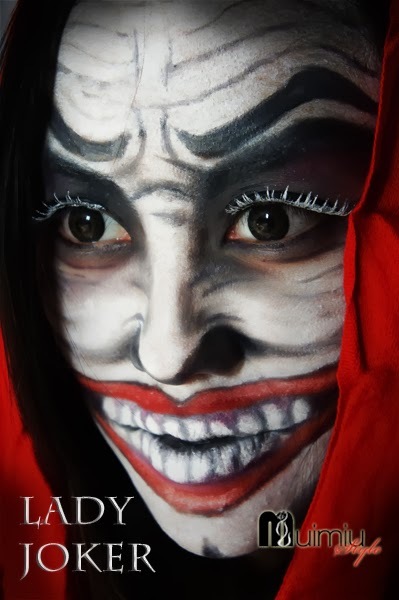 yes, JOKER. Once upon a time, there was a woman working in a chemical industry. But life is a bit hard for her. Until one day she was forced to do crime work with some bad people, trying to create chemical weapon. She was afraid, yes she was... But if she wanted to live, she should not stop doing this. 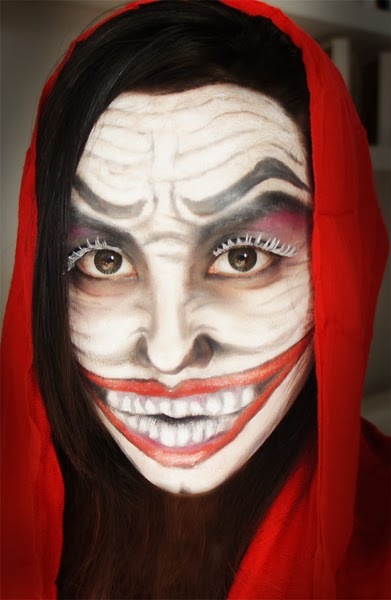 The chemical have damaged her face, given her a white-bleached skin and big red ruby lips. She did not recognize her face anymore. She put the blame on Batman, she really did. She really hates him so much for turning her into a monster! hihihihi....Sorry if I scare you with my look and sorry I did not create the make up tutorial hehe... it's too complicated! And I spent almost 2 hours doing it. 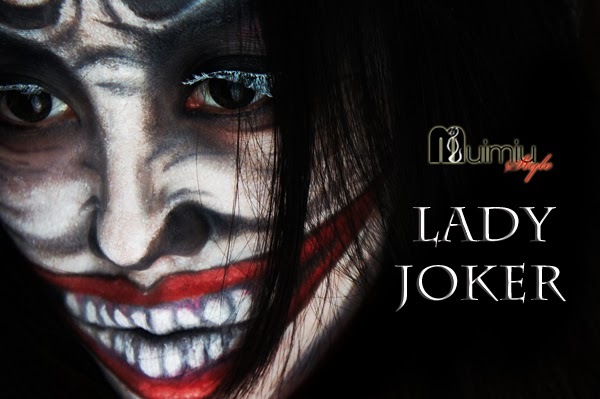 This LADY JOKER really wants to win! 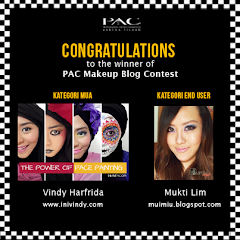 help her win to get COVERDERM products especially COVERDERM CAMOUFLAGE CLASSIC FOUNDATION that based on the review out there, it has really good coverage. I've read somewhere that it could hide birth mark and even tattoos! wow~! I really want the product to help me getting a very flawless look, covering my acne scars. 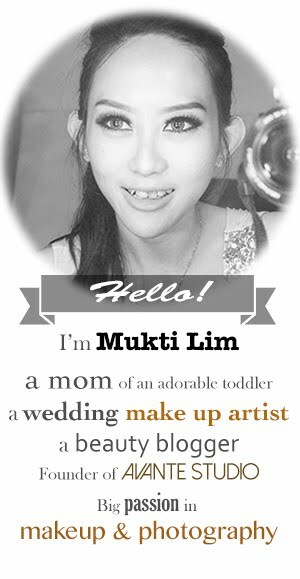 And I do bet that it will be good if I can use it to create bridal make up for my clients :). No no, don't be panic! I will not create this scary look on you! If you want to join, please see details by clicking the image below. Tomorrow is the deadline to submit, so hurry up! huahahaha makasi nitaaa... actually itu cerita JOker aslinya based on DC comic. tetapi dimodify sedikit lah, sedikit banget hihihihi.... iya boleh2... nanti mikir dulu bikin apalagi.. any idea? Muantabb cece!!!! <3 Keinget yang barong.. wow...I never thought that girly things can do this too.